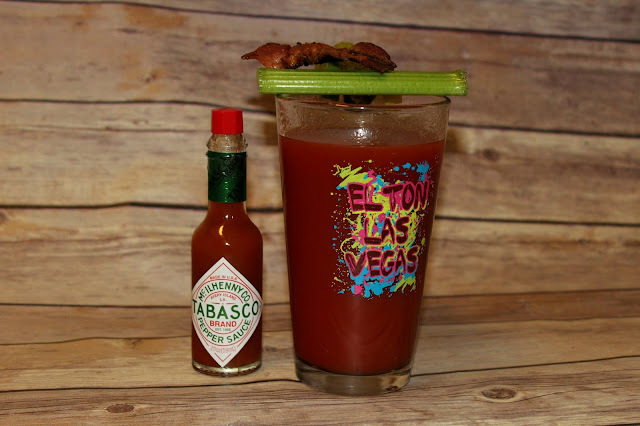 I don't know about you, but nothing makes me more excited for a weekend morning than a Bloody Mary...and bacon, yea definitely both of those. I received a new cookbook, The Tabasco Cookbook from Blogging For Books and was so excited to try out their Classic Bloody Mary recipe since it's one of my favorite drinks. Combine all of the ingredients in a 2 quart pitcher. Stir well and refrigerate until chilled. Serve over ice. Garnish with ingredients of your choice. 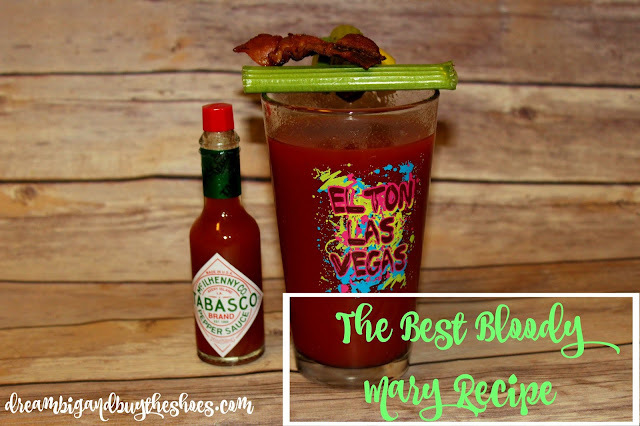 I loved this recipe and the Tabasco ingredients...I like my Bloody's spicy, so it was perfect for me. Most, if not all of these things I keep in my kitchen on a regular basis so whipping this up on the weekend is easy and makes for a perfect start to the day. There are so many other recipes in The Tabasco Cookbook I can't wait to try...such as The Sangrita, Herb Broiled Tomatoes and Peppery Gingerbread. What's your favorite weekend drink?